Here we go. It is now official. As my Augusta Today colleagues and fellow CityStink.net contributors, Lori Davis, Brad Owens and Al Gray have been saying for months, the Augusta Tee/Convention/Conference/Whatever-it-is- called-next-week is a TEETOTAL DISASTER. Yesterday the projected LOSSES came out for this already-extinct dinosaur –$911,000 plus in losses! Since only $250,000 is going to be available from the dedicated funding source of the hotel transportation tax, Augusta Administrator Fred Russell has had to admit that the balance of the funding for this enormous albatross on city taxpayers will have to come out of the General Fund. One supposes that fire and police protection will take another hit. How much more wrong can a bureaucrat be? The deal went from the LLC funding $350,000 a year being reported in Mr. Simon’s former newspaper to Augusta’s losses being capped at $350,000 annually a month later – an amazing $700,000 swing against Augusta taxpayers in one month! This looks like the first bait-and-switch. Now we have the second. Now the losses to Augusta are nearly $1 million!! The 2007 Barry White piece in the Chronicle also reminds one of another little white lie that TEE Center supporters hawk – that the voters of Augusta approved the TEE Center in 2005. What they never bring up is that the voters approved this boondoggle after being told it would cost ‘only’ $20 million. Now the cost is over $50 million ($tens of millions more taking into account the existing Conference Center) and it looks like the operating losses for the first decade will easily exceed $20 million. Bear in mind that none of the projected losses include depreciation or debt service! Little white lies got one huge white elephant constructed on Reynolds Street. Reality trumps slanted projections and you can’t use “White Out”, either. 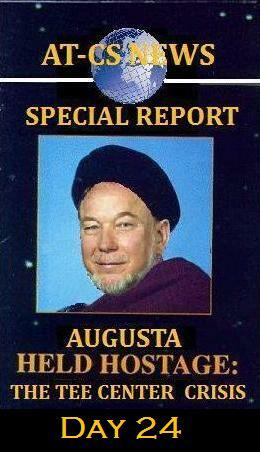 Tagged Augusta Politics, Investigative Reports, Kurt Huttar, TEE Center.